Wagner College welcomes students from all over the world every year. Though we are a small college, we have a vibrant international community and are dedicated to making our campus a more globally aware community. 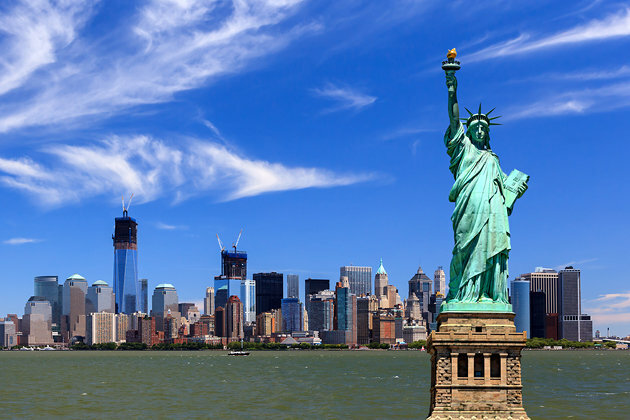 The Center for Intercultural Advancement serves to further that mission and provide a space for international students (including dual American passport holders and Americans raised/living mostly outside of the U.S.A.) to feel at home at Wagner, in New York City, and in the U.S.A. Your time at Wagner College begins during New Student Orientation in which you get to meet other students from throughout the world who have come looking for the same quality experience at our college. As the week progresses, you will become a member of the Wagner College community, meeting students from throughout the New York City area and the rest of the U.S.A.
International applicant for admission to Wagner College must meet English language requirement set by the school. Information about English language requirements can be found below. Please visit the NAFSA website for information about financial aid for undergraduate international students. The Department of Homeland Security (DHS) requires prospective students to provide proof of their ability to pay for their study and living expenses while in the United States. Financial statements must be in the English language and they must be notarized. There are many types of immigration statuses for foreign nationals coming to the United States. Each has it own purpose, restrictions, and benefits. F-1 and J-1 statuses are designated as full-time students statuses. At Wagner College, F-1 status is more common, but we do have J-1 student, too. Both of these statuses will allow you to study at Wagner College and both allow for on-campus and some off-camp authorization. There’s no “better” or “worse” status, one or the other might be more beneficial to your personal circumstance. Although both allow for similar activities, there are few important differences between the two statuses, however, so please read the information below carefully and contact our office if you have any further questions about how to choose a status. F-1: All full-time, admitted students. To be eligible for F-1, you must be admitted to a full-time program of study, meet the English requirement, and be able to show proof of funding for at least the first year of study. J-1: Students with outside funding only. If you meet the criteria for an F-1 visa but also have a scholarship, grant or other award from an outside source that is equal to at least 51% of your first year’s tuition charge, you qualify for J-1 student status. Personal/private funds, or funds from family or friends, cannot count toward J-1 eligibility. If you are eligible for both F-1 and J-1 status (i.e. receiving and outside award for at least 51% of your tuition charges), you can choose between F-1 and J-1 status by reviewing the chart below. Main types of off-campus work authorization: 1) Optional Practical Training (OPT), Eligible after completion of one year of study for up to 12 months per educational level of full-time off-campus authorization related to program of study. Can be used either during or after program of study. Requires application to immigration service; processing takes 3-4 months and requires a fee. Exchange students not eligible. Does not require a job offer, so you can use it after graduation to look for a job. Main type of off-campus work authorization: Academic Training (AT). Eligible for off-campus work authorization related to program of study up to 18 months for bachelors and masters students or length of academic program whichever is shorter, up to 3 years for doctoral students. Exchange students can be eligible for AT corresponding to the amount of time in program (i.e. 90 days study = 90 days AT eligibility). Authorized through CICA without application to immigration service or fee. Requires a job offer, so you must have a job lined up before graduation. If you have any questions about choosing a status for study, please do not hesitate to contact our office at intercultural.advancement@wagner.edu.